Let’s talk morning routines! The majority of people I know, moms especially, require a cup of coffee to start their day. My morning routine involves snuggling with my boys and of course, coffee. Lots and lots of coffee. As much as I’d love to make daily Starbucks runs, that is just not practical or cost effective. I’ve had my fair share of moments with my french press, but ain’t nobody got time for that! I definitely don’t have the patience to wait for boiling water or the five minutes it takes for the coffee to be ready to drink . 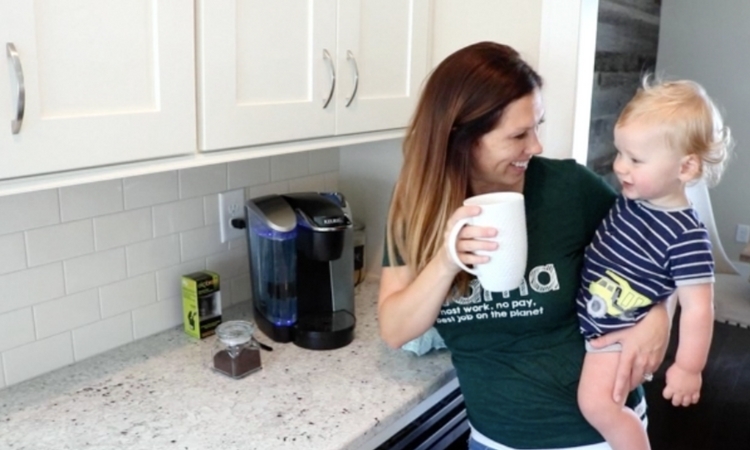 The Keurig is my go-to and allows me to have my own little coffee shop in the kitchen where I can stroll in wearing pajamas with a kid on my hip. This post was brought to you by Walmart and EkoBrew. All opinions and thoughts are my own. 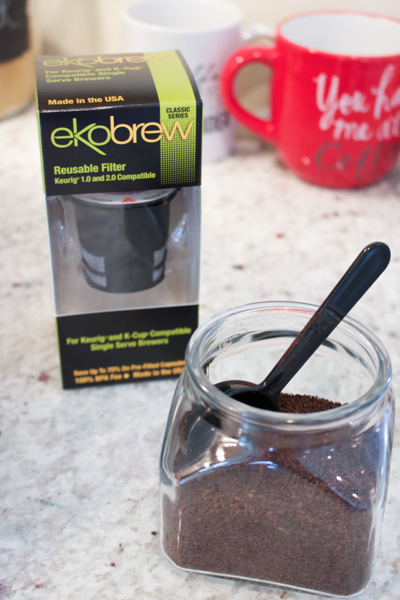 A huge perk of EkoBrew’s reusable filter is not being limited to a particular flavor of coffee. 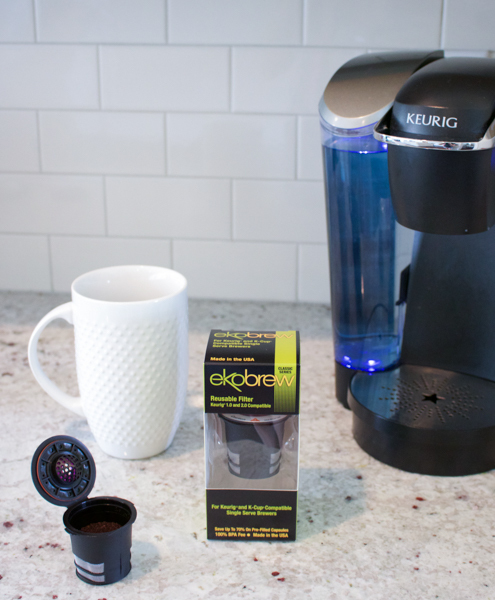 When I used to buy the pre-made K-cups, I often had trouble finding my favorites in stock or a brand that I liked at all. I’m no longer limited and can stock up on the ones that I love best! It’s also perfect when you have guests and everyone wants something different. Not to mention I’m saving up to 80% since I’m not buying K-cup packs anymore! Who doesn’t want to save money?! I know moms are looking for any way to save a penny here and there. The great news is that EkoBrew will be available next month, so you can get it too! 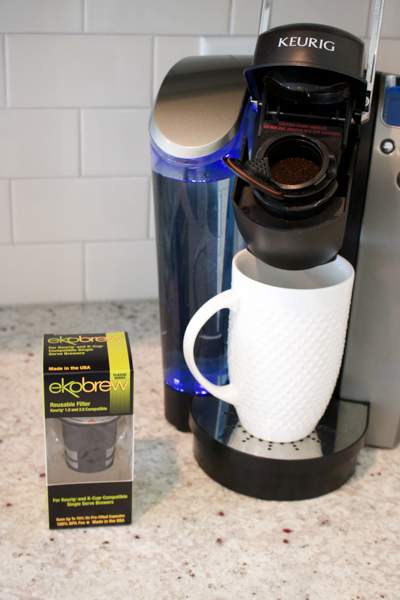 When you’re doing your shopping at Walmart in mid-September, head over to the coffee aisle and grab one of their reusable filters. They’re compatible with Keurig, Mr. Coffee, Cuisinart, and Breville machines.